Since the Post-9/11 GI Bill, additional opportunities for veterans to earn a college degree have resulted in a dramatic influx of veterans on college campuses. The process of transitioning from the military to civilian life can pose challenges for all service members, veterans and their families. In order for advisors, faculty, staff and peers to better serve this population of students, they all need to be aware of the potential challenges a service member, student veteran and their families might face when attending college. Modeled on the “Safe Zone” program, Green Zone is designed for faculty and staff to receive training about issues potentially facing active service members, student veterans and their families. an awareness of the resources available to student veterans and their families on and off our campus. Green Zone allies are not expected to be experts or mental health counselors. Green Zone allies provide a sympathetic ear and can refer a student veteran to appropriate on-campus resources. 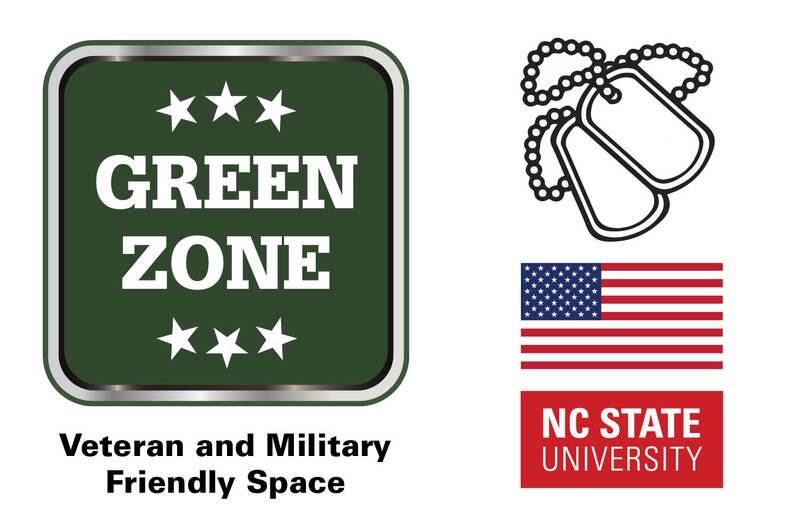 See the list of staff and faculty members who have completed Green Zone Training in support of military-affiliated students at NC State.